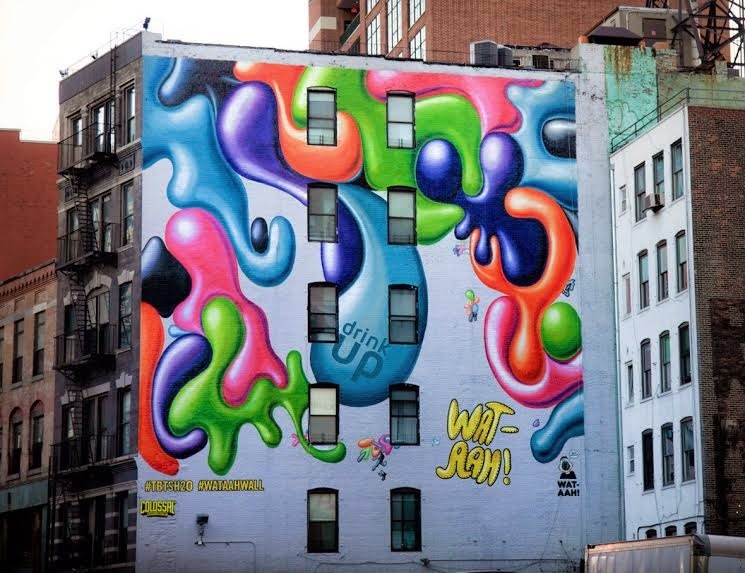 This very colorful mural by renowned street artist turned fine artist Kenny Scharf adorns one side of a building located near the corner of Lafayette and Prince Street in SOHO. The 50-foot high abstract painting is part of the Taking Back the Streets campaign from WAT-AAH bottled water to promote the popularity of drinking water among children and teens. Find out more about the campaign at This Link.